Washington, DC, September 22, 2015 – As the American people consider both the substance and style of the people they are trying to envision as our next President — GroomingLounge.com, the nation’s premier resource for men’s grooming, the candidates whose hair has stolen the spotlight – and not in a good way. Donald Trump, Bernie Sanders, Rand Paul and Ted Cruz stand out to the Grooming Lounge experts as the candidates who most need a new hairstyle. 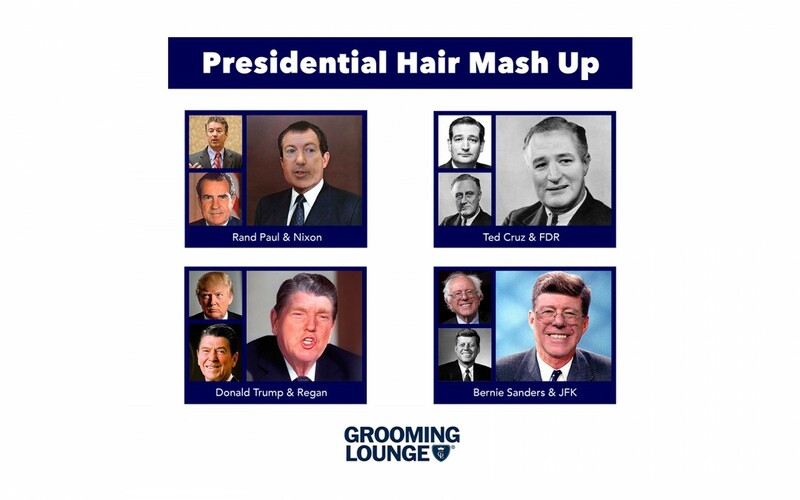 There are no shortages of historical examples that show the importance appearance plays in perception of leadership, so Grooming Lounge is taking some liberties in attempt to show these grooming sinners what they would look if they took some hair styling tips from past Presidents. Donald Trump – Perhaps more than any other candidate, Trump values appearance and has pointed to possible shortcomings in his rivals (Rand Paul and Carly Fiorina), and even, to a more limited degree, in himself. Many Americans doubt Trump is truthful about the nature of his hair and may associate that distrust with aspects of his candidacy. For Trump, our experts recommend swapping out his infamous ‘do for Republican ‘Saint’ Regan’s sleek and austere look. Bernie Sanders – Sanders, on the other hand, seems to undervalue the importance of style, apparently of the belief that his policies will carry him through and appearance issues are frivolous. The wild tufts of white hair remind us more of Larry David than Commander-in-Chief. 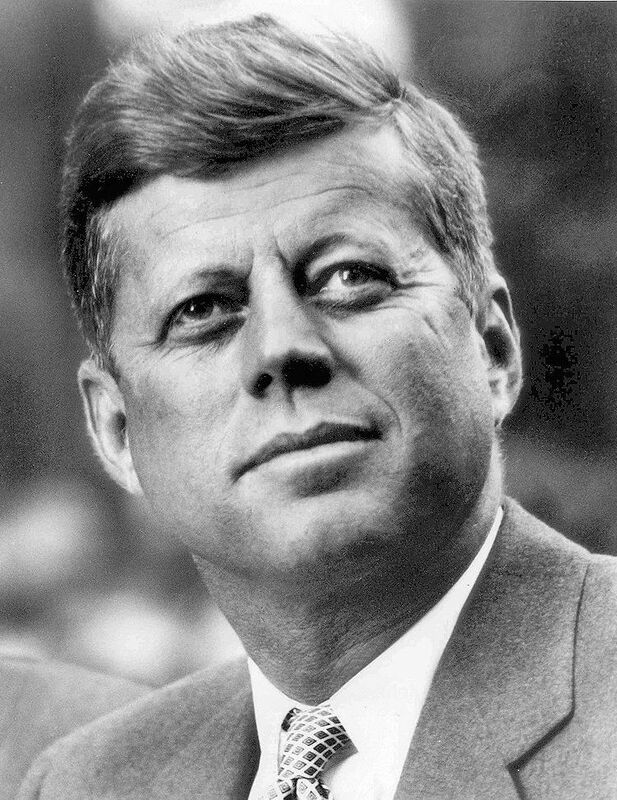 Grooming Lounge experts suggest a JFK-esque makeover. As Gilman puts it, “In order to win the highest office in the land, the public needs to picture you already there.” You’re welcome, Bernie. Rand Paul –The major distraction with Paul was the cluster of curls on top of his head. These perm-esque curls lacked definition and looked childish; reminding viewers he’s the son of a multiple time loosing candidate. For the sake of contrast, Grooming Lounge suggests swapping out the curly mop for the embodiment of a very serious elder President, Richard Nixon. Ted Cruz – The conservative Senator’s uncoiffed brown locks look sloppy and immature. 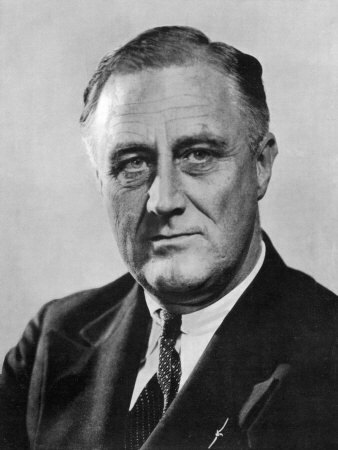 Grooming Lounge suggest taking some salt and pepper inspiration from a former President, who may have been Cruz’s ideologically opposite, but had a very distinguished gentleman vibe, President, FDR.